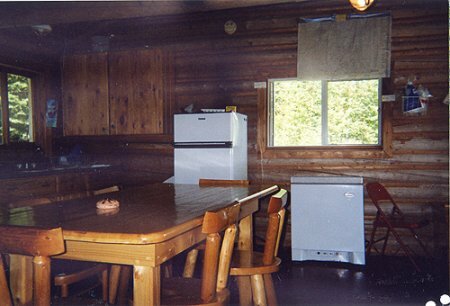 Two lakes, approximately 7 miles of navigatable river, sandy beaches and a large comfy log cabin, all in a private setting with ‘Natures Showroom' on display. I love Pickett and Clearbed lakes. I know, it's not about what I like but sometimes, for some reason, we overlook a great value for family fishing. Arguably, that could be Pickett Lake. 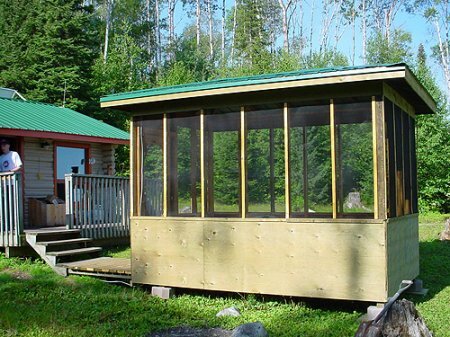 Two lakes, approximately 7 miles of navigatable river, sandy beaches and a large comfy log cabin, all in a private setting with ‘Natures Showroom' on display. 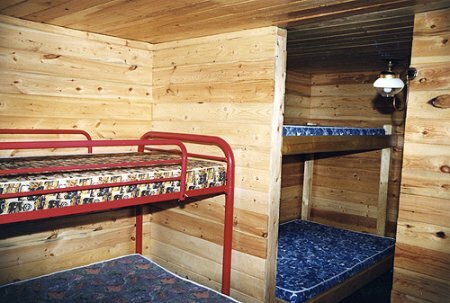 The cabin is an authentic Ojibway structure which for you carpenters will amaze you on how little is squared but works so well. 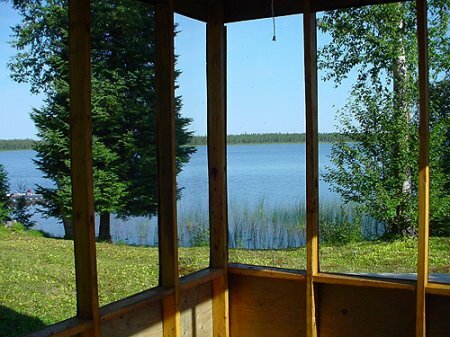 The camp is deluxe in every way from the screened in fish house with running water to the screened in gazebo keeping watch on the lake. 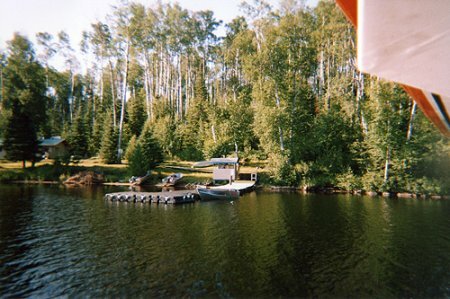 The unique floating dock is joined to the camp with a wood walkway that you will truly appreciate. Pickett offers a mix of everything that's good. Two lakes joined by a scenic drive that'll have you feeling like an explorer. And let's not forget the fishing. Pickett/Clearbed is known for large numbers of walleye, which I might add, keeps the big northerns well fed as well. Pickett also is one of our best moose lakes and seeing this magnificent animal feeding on aquatic plants is a super trill in itself. 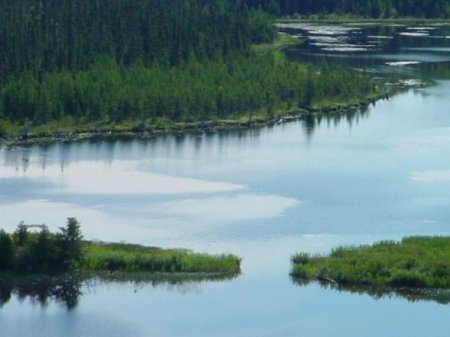 Keep this boreal paradise in mind as a fishing destination on the Ogoki Frontier. 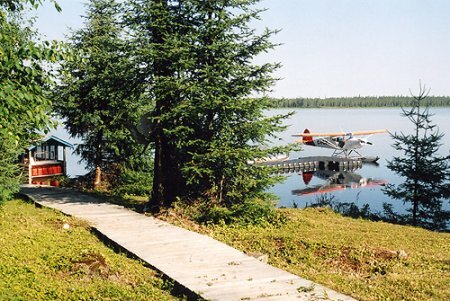 Pickett and Clearbed Lakes are separated by a small beaver dam that is easily crossed. 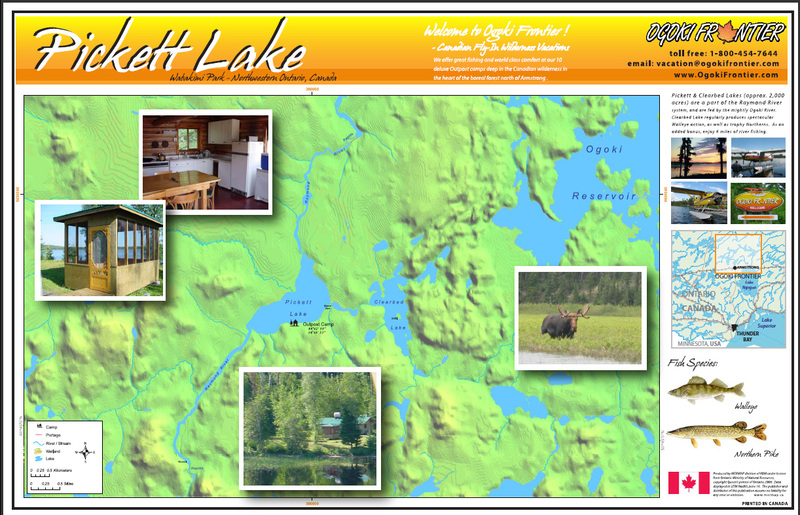 Together these two lakes provide every kind of structure and the fishing we are famous for. Our policy has always been to reinvest in the business to provide the best possible facilities. 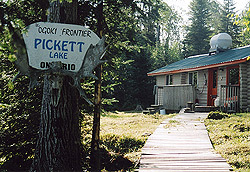 Pickett is a classic example of the Ojibway log cabin. Several years ago we added a small addition to allow for more `living room'. 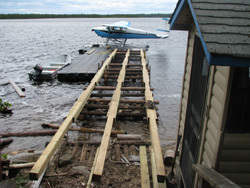 Since that time solar electricity has been added .. Wood walkway .. Running water to the fish house .. 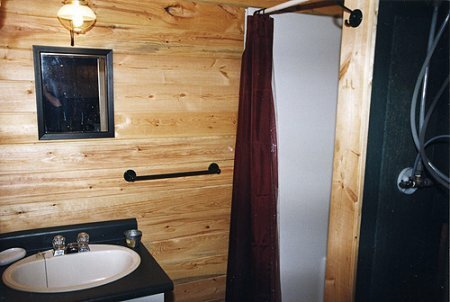 Hot and cold running water with showers inside cabin (from a gravity fed water system) .. A chest freezer now compliments the propane fridge and stove .. a screened gazebo was added in 2006 and of course Pickett is radio equipped. There are three - 14' Lund deluxe boats with 9.9 hp engines. The boats have swivel seats.